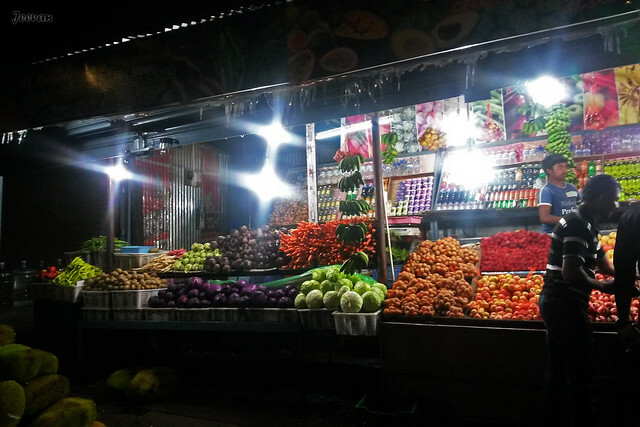 The roadside stall sells lot of fruits and vegetables harvested from around the mountains of Kodaikanal. For the new visitors: Kodaikanal is a popular hill station in south India (more than MSL 2000 high) and one of the most visited mountains by me. And during a visit to same in the monsoon of 2016, I captured these photos while we stopped for purchasing fruits and homemade chocolates. The rains halt for some time then and it was about 7pm I took these photos from mobile and I was really amazed at the outcome of the photos splashed in different shades and colors, since the fruits exposed to the led bulbs. And moreover the mist, gloominess and wetness of rain give a refreshing feel as I look into the dazzling fruits and vegetables from our parked car. 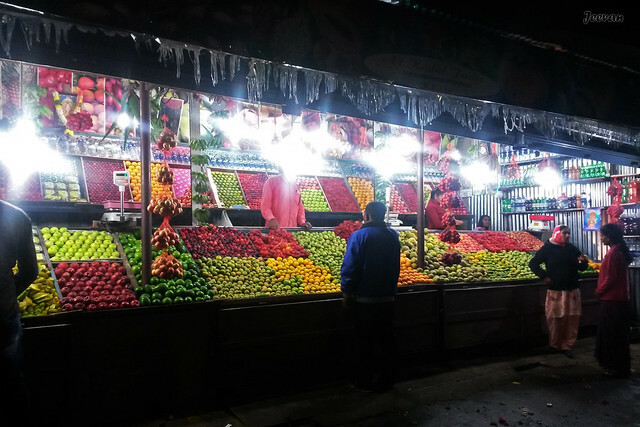 I know very few of the names of the fruits sold at the shop like plums (called as ooty apple), pears and passion, and along with fruits they also sell mountain honey, homemade chocolates and eucalyptus oils. But more than fruits, vegetables like carrot, cabbage, potatoes and mountain garlic are cultivated around the mountains villages of Kodaikanal. #RGB Monday stand's for my self made meme on Red Green Blue colors. That's a pretty impressive roadside market and looks like it has a good variety of fruits and vegetables. Your photos are beautifully composed and the colours are vibrant and very nice to see. Oh my, I would have gone shopping. That great shots of some yummy fruits and vegetables. Hello, what a nice roadside market. The fruits and veggies looks delicious. Homemade chocolates sound yummy. Enjoy your day and week ahead! Awesome captures of the varied colors of the fruits and vegetables! I really enjoy the contrast between the dark night and bright colors of the fruits and vegetables. It's so beautiful. Great pictures, Jeevan! Thank you for sharing them with us. I will surely stop to buy some of those juicy fruits. They are both wonderful photos of great color.